Another day for good deliveries, this time business cards! These are my last awaited work delivery, which is great as I can relax a bit more! Just another day of university work apart from that. Got my portfolio printed which didn’t end too well, so the stress level is a bit higher today! Ah well, 4 more days! 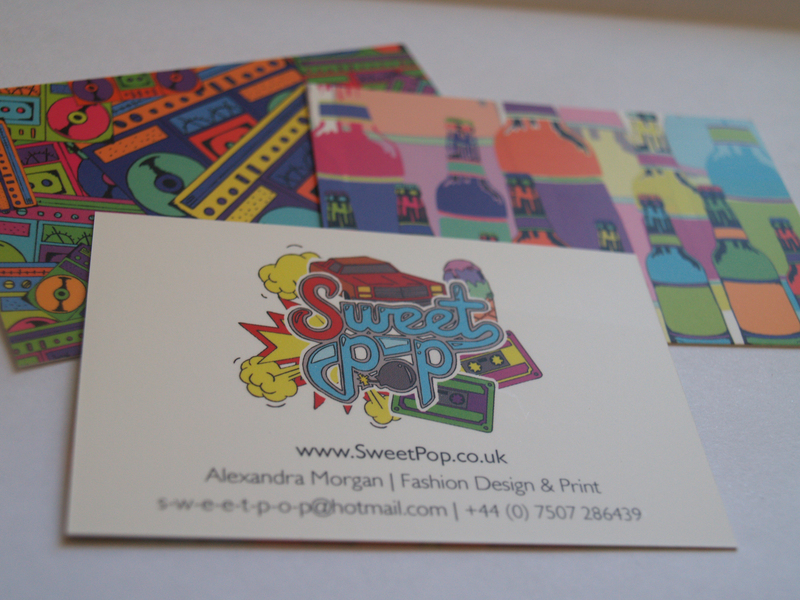 Love them!They’re very eye catching, exactly what you want in a business card! Thanks! The patterns and logo are already from her own work, so I can’t take much credit! But I’m loving these, and she’s very happy with them!